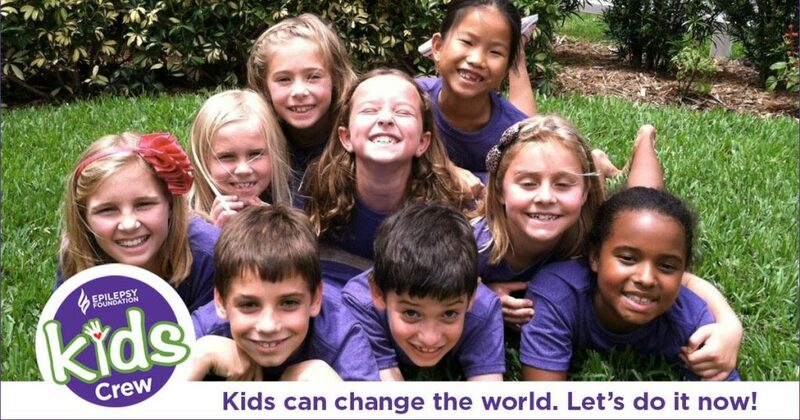 The Epilepsy Foundation thinks that kids have big hearts and are able to do amazing things. 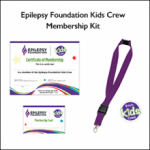 We created the Kids Crew with three areas in mind where we believe you can excel in your journey with epilepsy. Creating epilepsy awareness to help educate family, friends, and your community. Sharing your stories so that others can learn from your experiences. Participating in Lemonade for Livy, the Purple Pumpkin Project, and local walks. At the Kids Crew, we want you to use your imagination and think creatively. We know kids have unique gifts that can be used to give back to others under the three areas on which we focus. We want you to take it upon yourself to come up with ideas that can impact your community based on what you have experienced. Doing so allows for teamwork, helps you learn more about epilepsy, and gives you confidence. Our belief is that you can use your talents to give back to others and to make a real difference. We think you are capable of tremendous kind and generous acts! We know you have the ability to change lives and look forward to telling you about some of the amazing kids who are doing great things in their communities. At the Kids Crew, we respect others, never judge one another, and believe every kid is important. What you learn at the Kids Crew will help you in many areas of your life. The program is free to join and is for kids ages 14 and under of all abilities. If you don’t have epilepsy, we still want you to join. Often, siblings, friends, and relatives of those with epilepsy are the best advocates. We are looking for those who want to learn, spread awareness, and make a difference. And have fun, too!! Parent or legal guardians, click here for the Registration form. For more information about the activities and to see the pins, please click here. Throughout the year, watch for videos from President and CEO of the Kids Crew, 12-year-old Hailey Scheinman, about how you can create awareness, educate others in your community, and participate in events. She will be sharing epilepsy facts, interviewing some awesome people, highlighting experiences at events, answering questions, and more. If you have any questions, please send us an email at Kids-Crew@efa.org. If you would like to ask Hailey a question, please email it to us or mail us a letter to the address above. She will answer questions during future videos. “Kids can change the world.